Here in my place that too particularly in our near by farmers market I get some local variety cucumbers right from the garden they are so tender and fresh that we can simply give a wash and have it.But in todays world we cannot do that so I very lightly scrap the skin and eat.Generally we do raita with this cucumber’s!but this time I found a landmark recipe that too a maharashtrian classic fasting recipe (cucumber salad indian recipe). It was a first time try and was such a delight that I simply had the whole bowl all by myself. It was so filling and refreshing kind of salad!loved the nuttiness of peanut powder and coconut.While doing this the first most important tip is to remove all the water from cucumbers by adding salt!don’t skip this step otherwise your salad will become soggy.I have cut these cucumbers as roundels but you can cut into cubes also and most importantly you can use the normal kind of cucumber that is available in the market and for this you should scrape the skin and cut into cubes.Its (cucumber salad indian recipe) definitely a different but traditional kind of salad that you will surely like to do repeatedly. 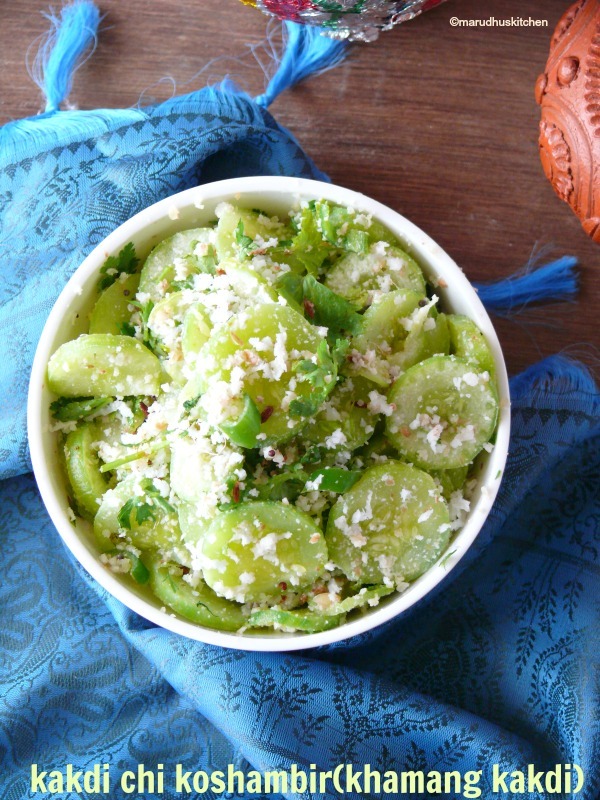 1.Take sliced cucumber in a bowl add salt mix and leave for some time,then squeeze and take out water. 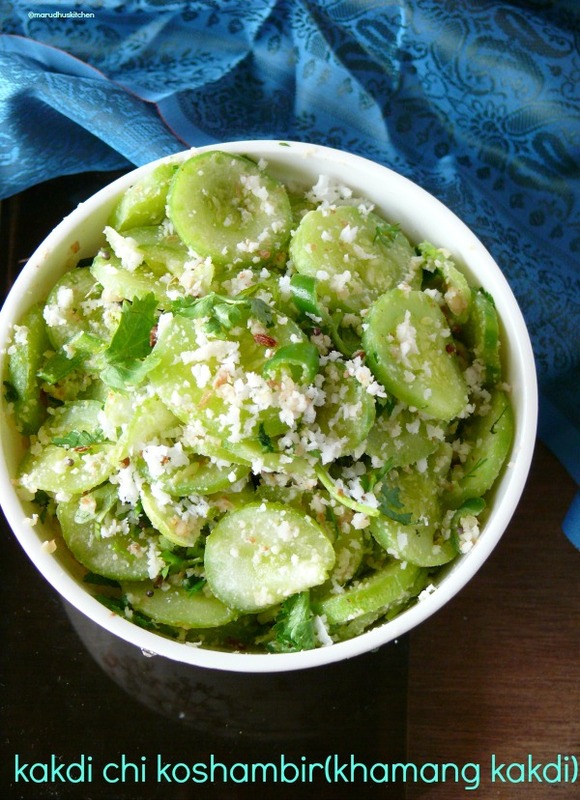 2.Take squeezed out cucumber in another bowl add all the ingredients given except “tadka”items. 4.Now do the tadka with ghee add to the salad,mix and serve. Love that bowl of goodness. Fresh cucumbers in the farmers market is an amazing sight. Love this.. Such a lovely simple salad. Def will be trying this for summer. What a delicious and healthy looking cucumber salad, Vani.